The Guild Series yesterday featured a short video about Joseph Hofer. 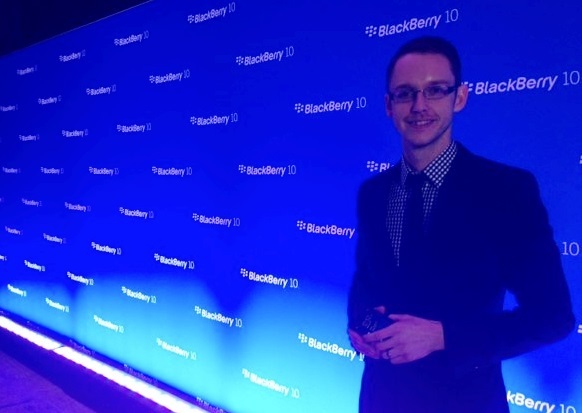 Joseph Hofer is one of BlackBerry’s in-house industrial designers. Do check it out! Joseph Hofer resides in Kitchener-Waterloo, Canada with his wife Kathryn. He is a multiple Red Dot and iF award-winning Industrial Designer. Early in his career at BlackBerry, Joseph established the look and feel of the BlackBerry Bold family of devices. His recent work includes the Q10 and Z10, as well the BlackBerry Passport. Not only is he an industry leading industrial designer, he is also a highly skilled graphic designer and photographer among many other crafts. He has found the perfect harmony between technicality and artistry within his work, which is a key component to what makes him successful. His eye for detail, raw talent and empathy for people is what sets him apart within our self-centered society and culture. Having compassion and understanding for people is a big part of design, but this aspect shines through in all aspects of Joseph’s life. He has come a long way in his professional career but has a lifetime ahead of him designing for humanity – a true inspiration and cultural leader among us.